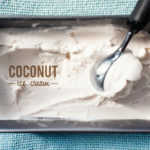 For this recipe, I will be using both coconut milk and coconut water. 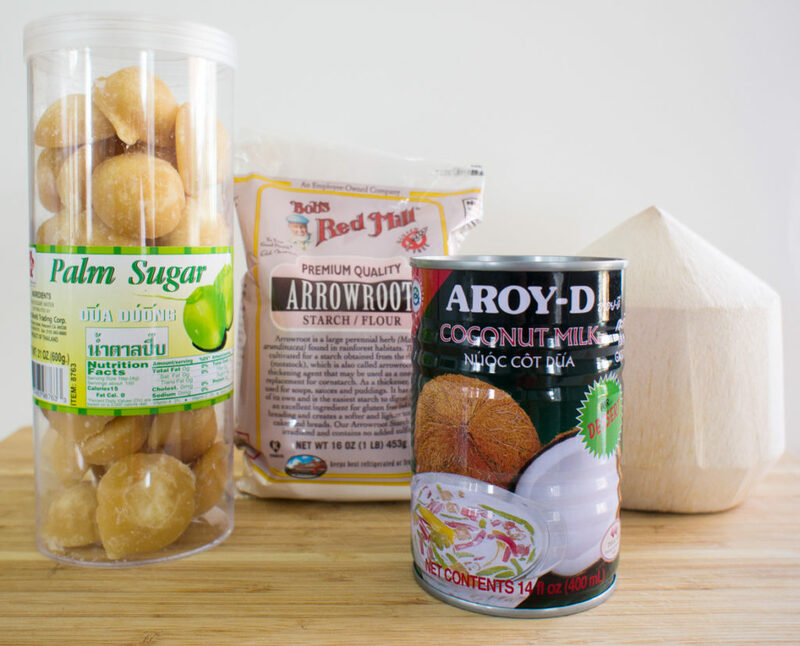 Coconut milk is used in Thai cooking in many different ways. From curry mixes, stir frying, snacks, and desserts. There are several forms of coconut that you can find on the market; coconut milk, coconut water, coconut oil, etc… Coconut milk, specifically, is made by a process of grating and soaking coconut flesh in heated water. This allows for the coconut cream to rise which could then be skimmed. The liquid that is left is squeezed through a cloth and produces a white creamy extract that is the coconut milk. Coconut water is simply the clear liquid inside coconut. You will also need an Ice Cream Maker. Shake a can of coconut milk before opening then equally separate them into two parts. In a small pot, mix the first half of coconut milk with palm sugars on low heat. Stir until palm sugars dissolve. 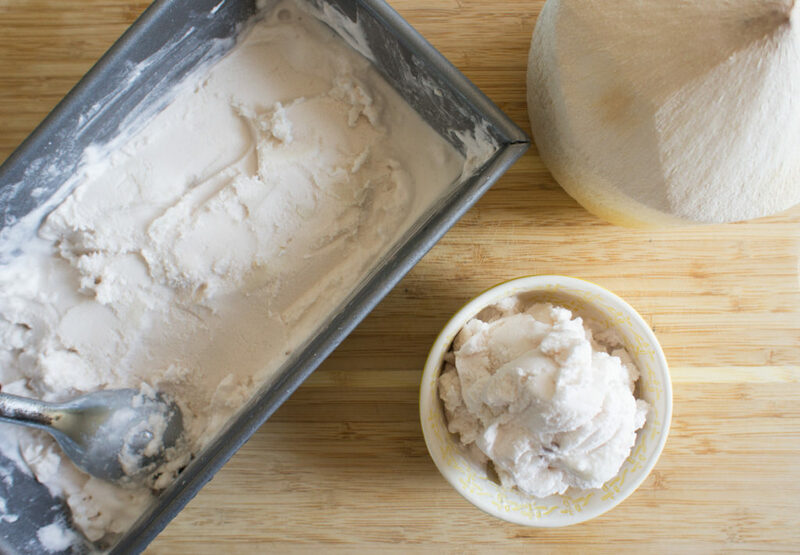 Mix Arrowroot starch with the other half of coconut milk. Whisk until Arrowroot starch is dissolved. Pour Arrowroot mixture into the small pot with the other coconut milk. Still keep the heat low. Stir the sauce base until it turns smooth. The sauce will get thicker and thick enough to coat the spoon. Slowly pour 1 cup of coconut water ( if you don't have enough coconut water from an actual coconut, add coconut water from a bottle) then lightly whisk them together. Turn off the stove. Pour the rest. Still whisk until everything is thoroughly mixed together. Let it cool down for about 10-15 mins before adding the mixture to an ice cream maker. To help the mixture cool down fast, put it in the refrigerator. Add the mixture to your ice cream maker and follow the operation instructions. 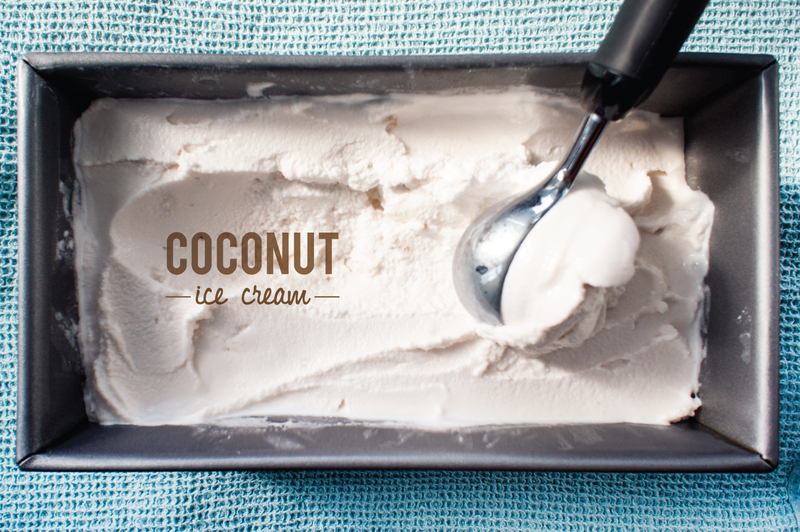 After the mixture starts to get an ice cream texture, add some coconut flesh you scraped from your coconut. The machine that I use is homemade machine so after 20 mins it gives me a soft texture that can be served right away. 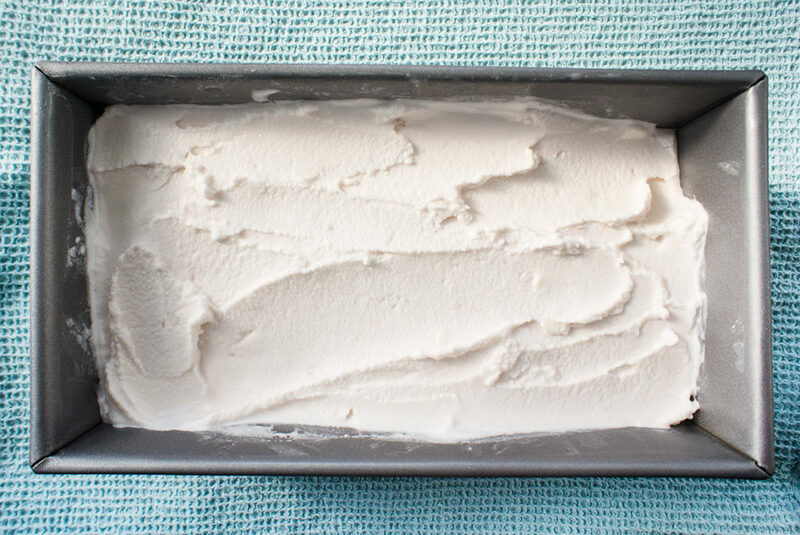 You can also pour the entire ice cream from ice cream maker to a container and freeze in the freezer for 3-4 hours to get a more solid texture.